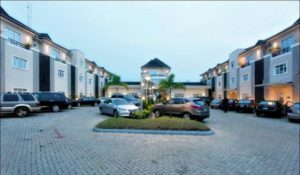 If you’re looking to travel and you’re looking for hotels that are at proximity to the airport in Ikeja, then you’re on the right page. 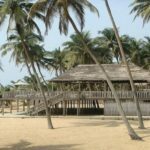 In this post, we have included a list of hotels in Ikeja near the Muritala Muhammed Airport. 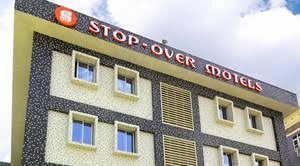 Stop over Motel is located on International Airport Road, Ajao Estate. There is always a car hire around the motel so you can always step out to call one but it is advisable. The gym facilities are located across the road from us at our sister hotel – Welcome Centre Hotels. This hotel also has pool, tenis, squash, volleyball and table tennis courts. 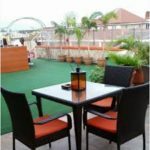 Golfview Hotel and Suite provides the most affordable luxurious hotel rooms in Nigeria. The hotel is less than 5km from the airport. Some of the attractive features of the hotel include free breakfast and complimentary internet access. Also, GolfView is home to business travelers and conferencing, holiday relaxation and leisure. Other services include Airport Shuttle, Spa, Gym, Swimming pool, Phebees Restaurant and Bar, Meeting room, Conference hall, Luxury rooms. You can also enjoy a family buffet at GVH every first Sunday of the month. 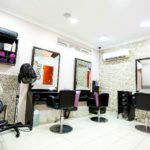 Located on 12 Samuel Awoniyi Street in Opebi, Dan Morgan Hotel and Suites is one of the hotels in Ikeja at close proximity to the Muritala Muhammed Airport. The hotel is a 20 minutes drive from the airport. All the rooms at Dan Morgan Hotel & Suites are well furnished featuring en-suite bathrooms, flat screen televisions with cable services. Also, there is an on-site restaurant serving both local and continental cusine. The hotel also has an indoor bar where you can relax and enjoy a glass of drink. One of the attractive features of the Presken Hotel and Resorts is the outdoor swimming pool which is available all year round. Other facilities include free private parking, free wifi, fitness centre and table tennis room. 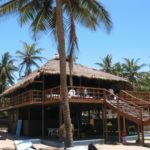 The hotel is also close to the airport and has an airport shuttle available which makes it a convenient place to lodge if you want to travel. Presken has several room options. These include the superior room, two bedroom apartments, luxury triple room, deluxe room and the standard room. 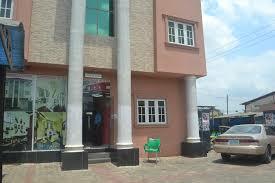 Suru Express is located on Joel Ogunnaike in Ikeja GRA which is just a few kilometres from the airport. In fact, Suru Express is a 5 minutes drive from the Lagos airport. 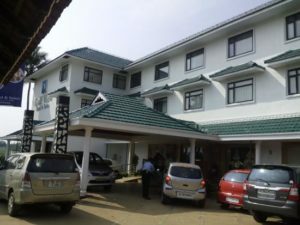 It is a budget hotel that serves business and leisure travellers. The hotel boasts of lavishly decorated rooms with refrigerator, flat screen TV, wardrobe, a work table, desk, sofa and en-suite bathroom. 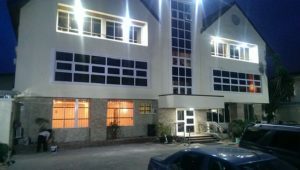 Located on 16 Esubayi Street, Ikeja, African Sun Amber Residence is one of the hotels in the high brow Ikeja GRA. The hotel place is an excellent destination for holiday and business traveler looking for a serene place to stay. Located on 38/40 Isaac John St, Ikeja GRA, the Radisson Blu at Ikeja is just 5km from the Murtala Muhammed International Airport which makes it easy for travellers to locate. The hotel also has event rooms and meeting rooms that come with AV equipment and table scaping as standard. Some of the features of these rooms include stunning indigenous artwork in the lobby with iconic Lagos buses giving you a feel of the authentic culture of the city. 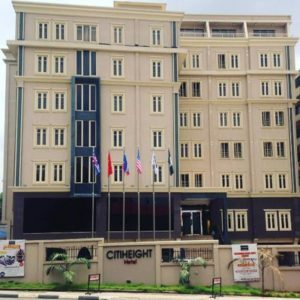 If you are looking for a hotel with a luxury dining restaurant, this is the place to be as the Citi Height restaurant provides crispy fried shrimps, jumbo lobster, a variety of steaks, grilled meat and assorted marinated fish.